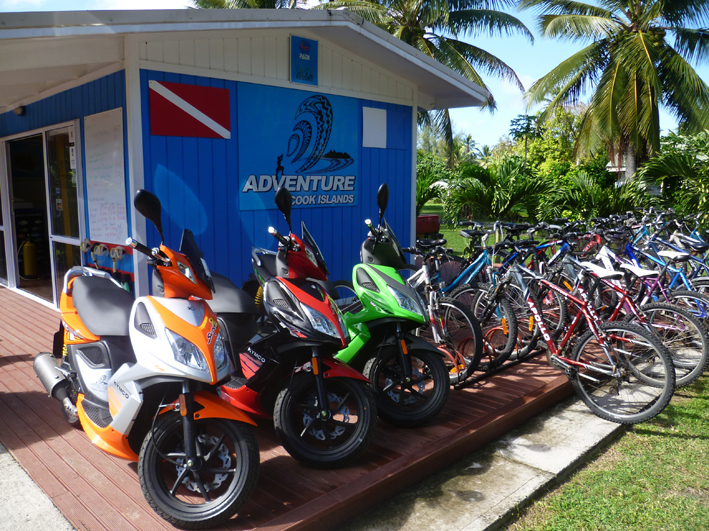 Rental scooters are the favourite way of getting around Rarotonga. 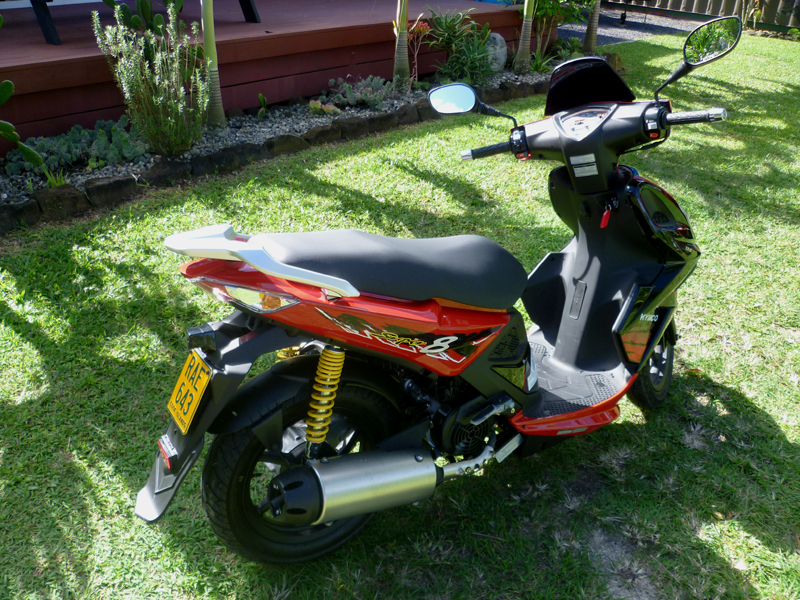 Our fleet of two seater, fully automatic 125cc rental scooters are cheap to hire and easy to ride. Our scooters for hire hold a large storage area for your wife’s shopping underneath the bike seat. 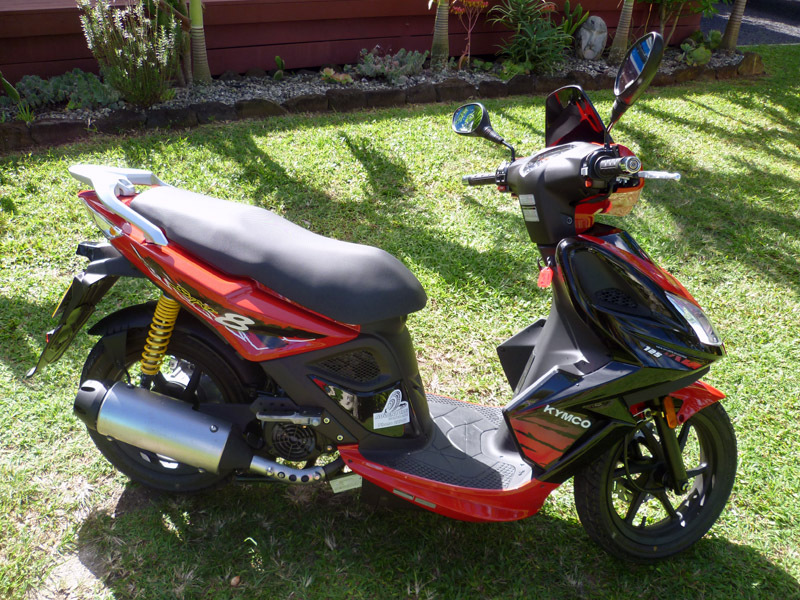 We use quality Kymco Super 8 125 rental scooters that are very spacious and comfortable to ride. With their bigger 14″ wheels with large tires, these motorbikes are great quality bikes for people who are used to ride clutch motorcycles or scooters. 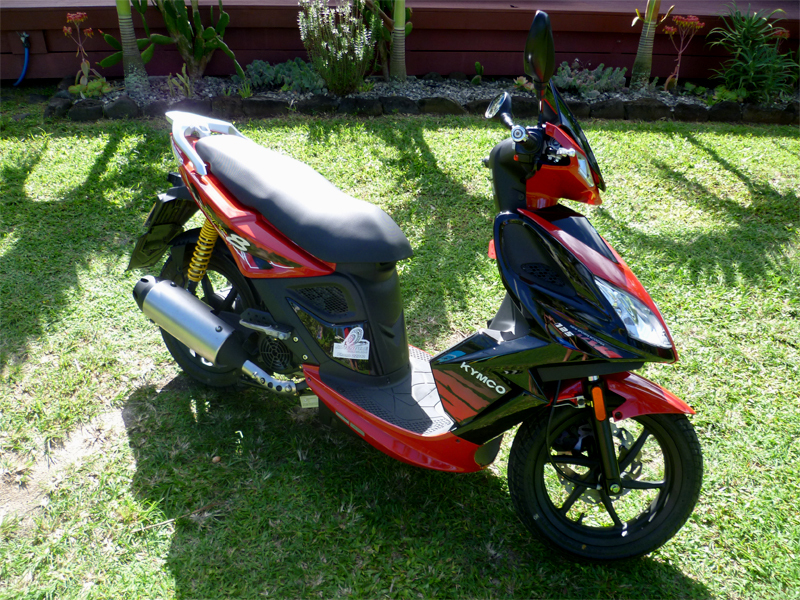 The Kymco Super 8 125 scooters are easy to handle but nevertheless you need to be an experienced bike rider in order to hire and drive one of our rental scooters. We have daily and weekly scooter hire rates. We also have motorbike safety helmets for hire. If you are visiting the Cook Islands it is compulsory for the driver and passenger to wear a safety helmet when riding a scooter on Rarotonga. We do not charge for drivers helmets. All scooters need to be picked up from and returned to our shop in Kavera duirng working hours (Mon – Sat 8:30 am to 5:00 pm, Sun 12:00 pm to 5:00 pm). We do not offer scooter pick-up or drop-off service from or to the airport. 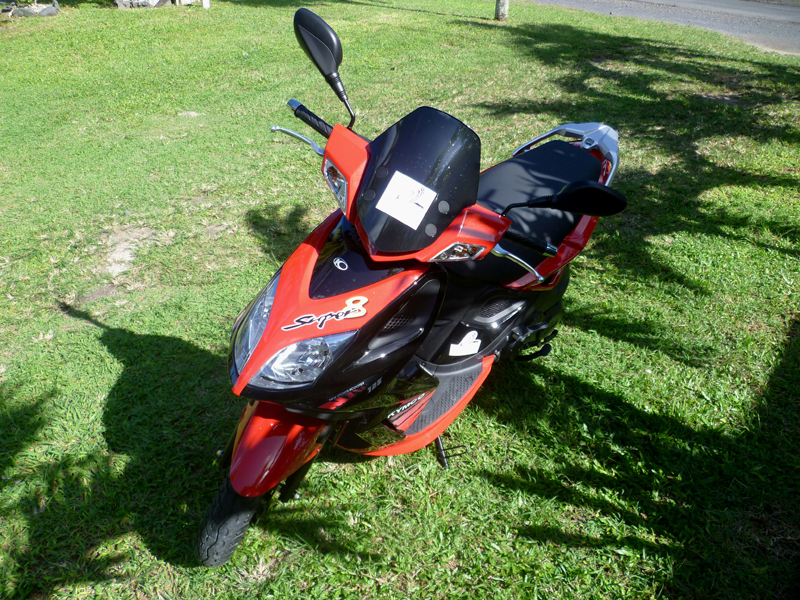 We only hire out scooters to experienced motorbike or scooter drivers and the minimum age to rent or drive one of our rental motor scooters is 18 years. Foreign drivers licenses are accepted in the Cook Islands for a period of up to 6 months. If you do not have a full motorcycle license in your home country that allows you to ride 125 cc motorbikes, you are required to obtain a Cook Islands visitors motorbike drivers license in order to ride a motorbike or scooter on Rarotonga. 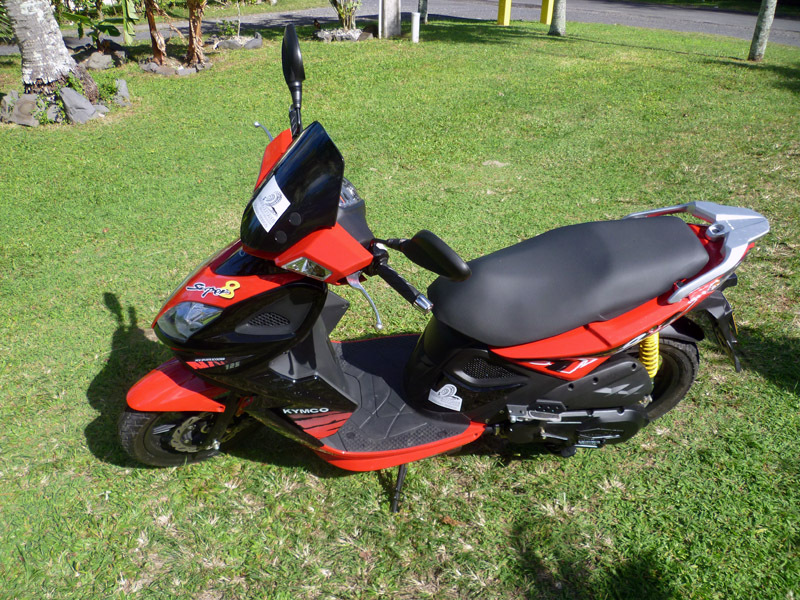 A foreign (NZ or any other country) car drivers license does NOT allow you to ride a scooter in the Cook Islands. 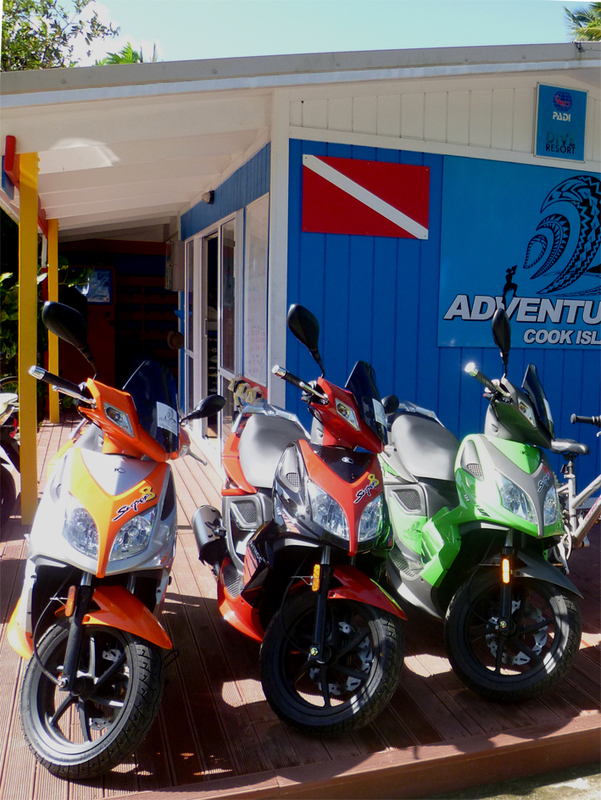 To obtain a Cook Islands visitors motorcycle license, you will need to successfully pass different motorcycle tests: the initial skills test is conducted by us on site at Adventure Cook Islands to see that you are a safe motorbike/ scooter rider. After successfully passing the test, we will issue you with a skills test completion paper which allows you to drive to the Cook Islands Police Station in Avarua to obtain your Cook Islands visitors motorbike license. At the police station you will have to pass a theoretical test as well as another practical skills test prior to getting your Cook Islands visitors motorcycle license. As of 2017, all visitors to the Cook Islands are required by law to wear a safety helmet when riding a scooter on Rarotonga. Furthermore, the motorcycle testing fees at the police station have changed as of June 2017. The new fees are $20 for the theoretical and practical tests and $20 for the issue of the visitors motorcycle license (total of $40 at the police station). 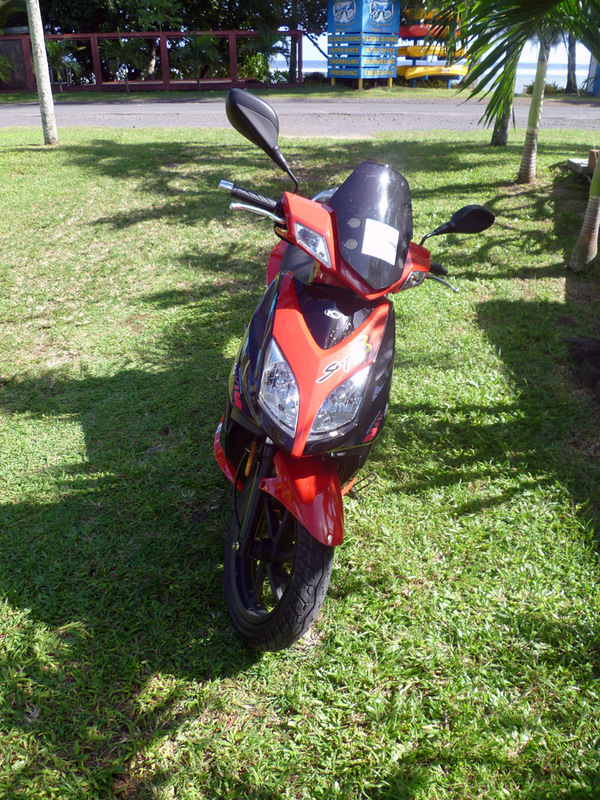 We only conduct the motorcycle skills test with people who are experienced motorbike or scooter drivers. We do NOT conduct the test with people who have no experience in driving motorcycles or scooters. In order to conduct the skills test and to issue you with a temporary license you will be required to present your national or international car license as well as your passport.